Pamela Reece at a news conference Tuesday, Jan. 23, 2018, where she was named the city manager of Normal. Deputy City Manager Pamela Reece at a recent Normal Town Council meeting. 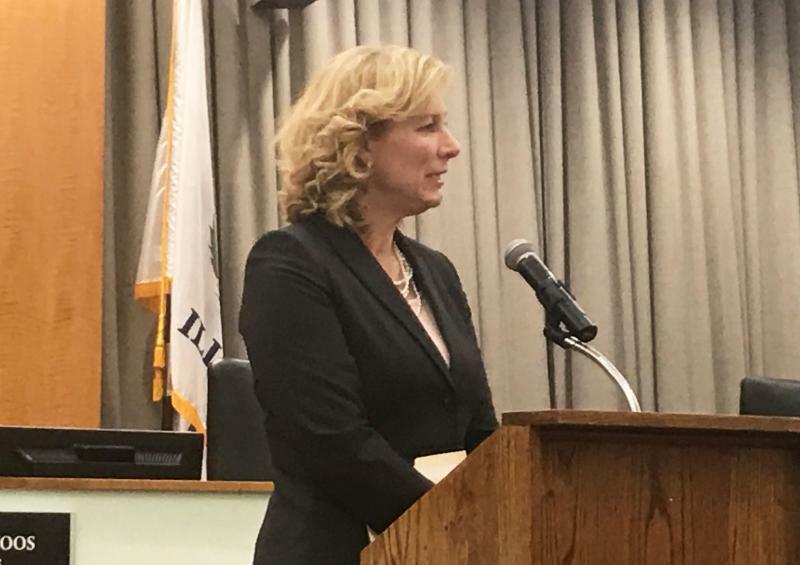 Pamela Reece was named the Town of Normal’s next city manager on Tuesday, becoming just the third person to serve in that job and the first woman to hold the position in either Twin City local governments. Reece will succeed Mark Peterson, who’s been city manager for the past 20 years and is retiring March 30. Reece will start her new job April 2. Her salary and contract is not yet set, town officials said. 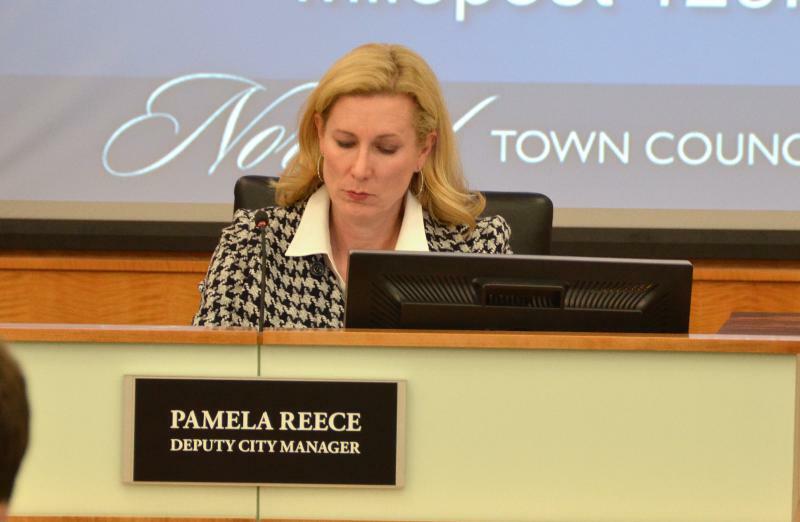 During a news conference Tuesday at City Hall, Reece said she only expected to stay a few years when she was first hired by the Town of Normal in 1991. One of the reasons Reece stayed, she said, was the mentorship she received from Peterson and his predecessor, former City Manager Dave Anderson. Reece already oversees many parts of town government, including human resources, the fire department, finance, information technology, public works, facilities management, and the city clerk’s office. Reece was one of 49 applicants for the job, a search supported by Gov HR, a recruitment firm hired by the Town of Normal on a $20,000 contract. That search led to a half-dozen finalists, and Reece was the first to be interviewed, town officials said. The Normal Town Council decided not to pursue additional interviews after meeting with Reece. Gov HR’s nationwide search eventually led the council to a candidate already working in City Hall. Council member Kevin McCarthy on Tuesday defended hiring Gov HR, despite the strong internal candidate. Reece is the first woman to be city manager in either Normal or Bloomington history. Reece said that distinction had special meaning for her. “It’s very exciting for the profession. Since I’ve started in 1991, the number of women in leadership roles has grown significantly, and I’m just proud to be part of that group,” Reece said. 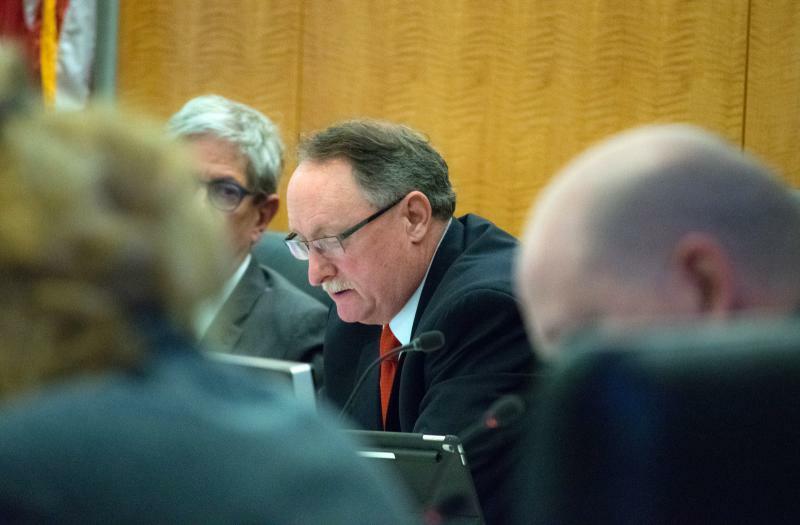 Reece will take over in the midst of a challenging budget cycle for the Town of Normal and other municipalities, strained by flattening tax revenues and rising costs. The Town Council met this week to make some preliminary decisions about where to cut, including 25 positions that will be eliminated. “Yes, there are challenges on the horizon. But with the team we have, and the policymakers we have, we’ll work together to achieve results. There’s much we can do. 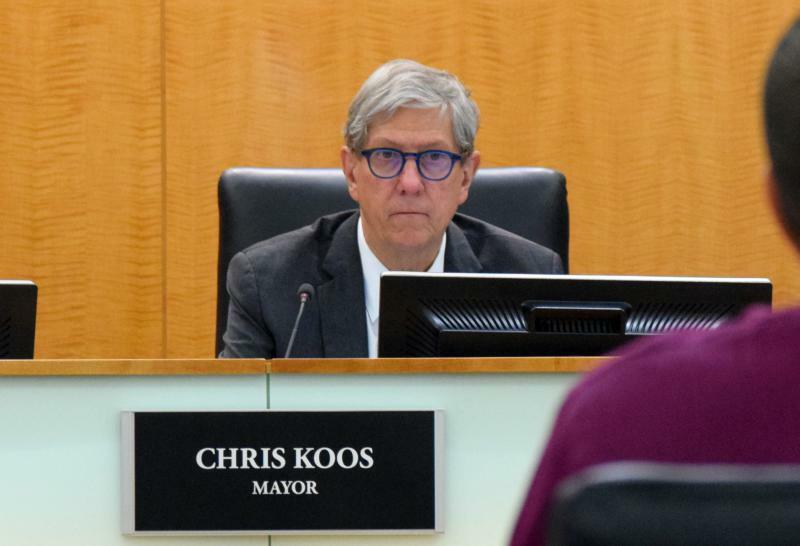 We have a great plan, and quoting former Mayor Kent Karraker, ‘We plan our work and we work our plan.’ And with that strategy we’ll continue to move forward,” Reece said. Reece lives in Normal with her husband, former Unit 5 school board member Jay Reece. They have two children attending college. Jay Reece’s mother is former Normal Town Council member Sonja Reece. Editor's note: GLT General Manager R.C. McBride serves on the Normal Town Council. Reporter Ryan Denham joined GLT's Sound Ideas on Tuesday to recap Tuesday's announcement. An excerpt from GLT's story about Reece's hiring. GLT's full story on Reece's hiring. Normal leaders are moving ahead with plans for a new five-story building on the northeast arc of Uptown circle, the next step in a dramatic reshaping of the town’s central business district. Normal Town Council members on Tuesday vowed to try to preserve three historic buildings as they consider plans for a five-story, $29 million structure with retail, offices, and apartments along Constitution Boulevard in Uptown Normal.